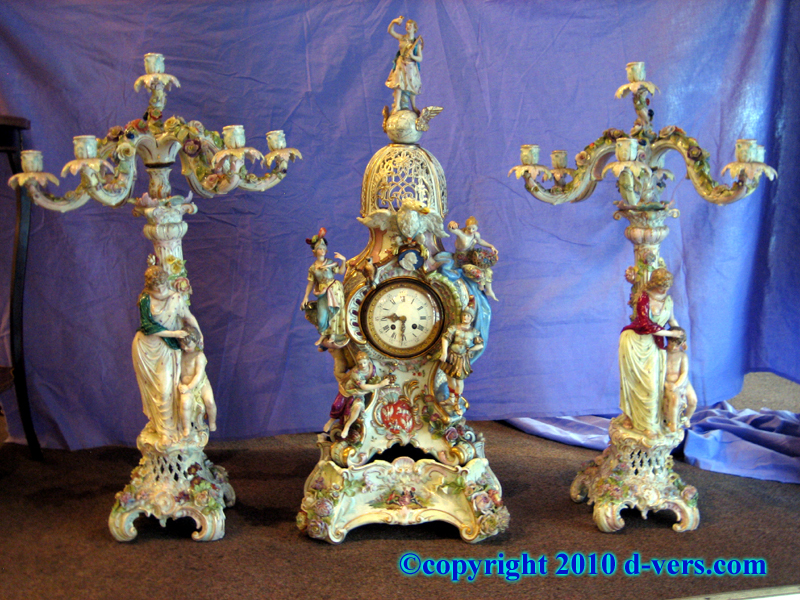 Meissen porcelain three piece garniture with clock and two six-light candelabra. 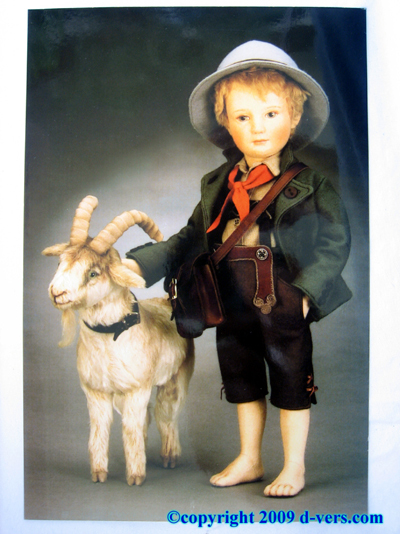 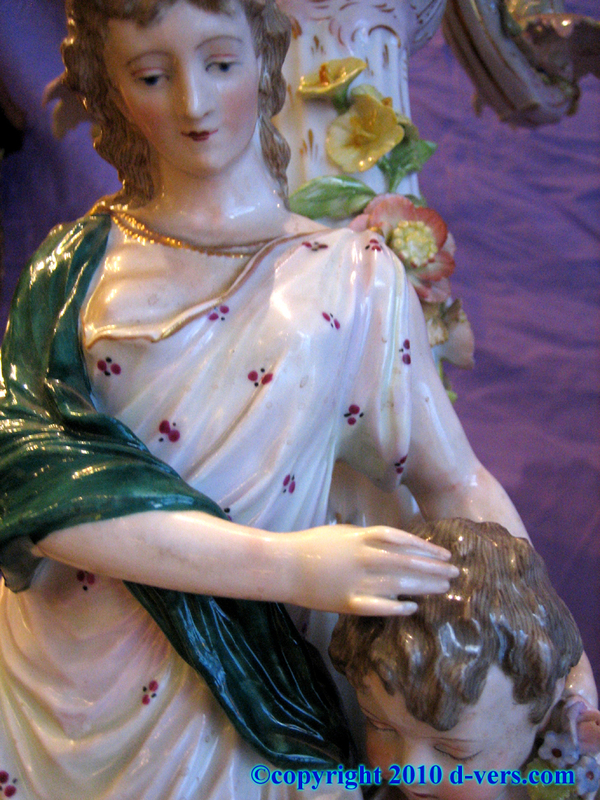 German, 19thCentury. 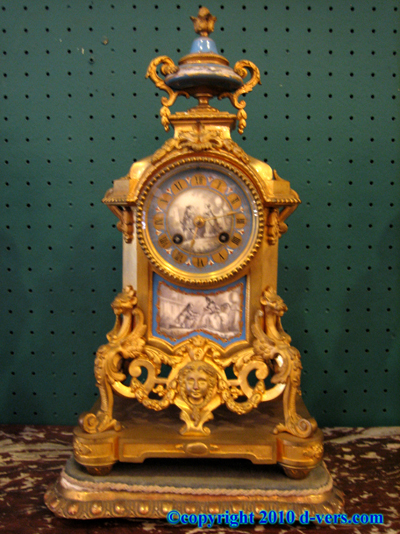 The clock with arched upper portion, with bell shaped top sitting above. 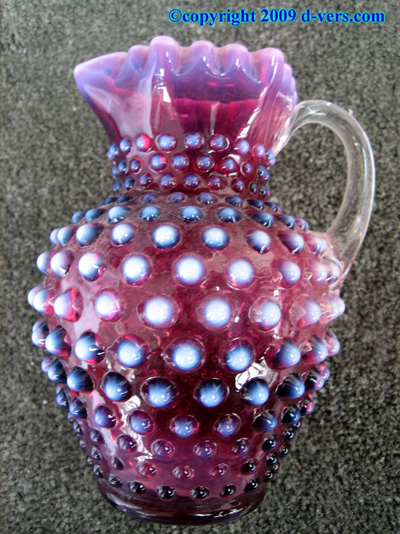 Porcelain in lattice shape on the bell-shaped top. 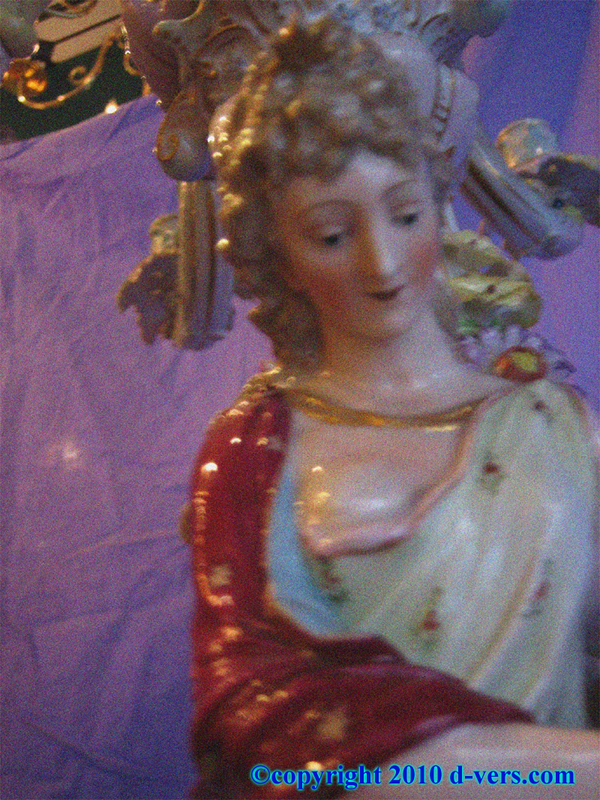 A globe sits above the lattice, with wings at its sides, and a figure holding a sickle over one arm gazing at the goblet held aloft in the other hand standing atop the globe. 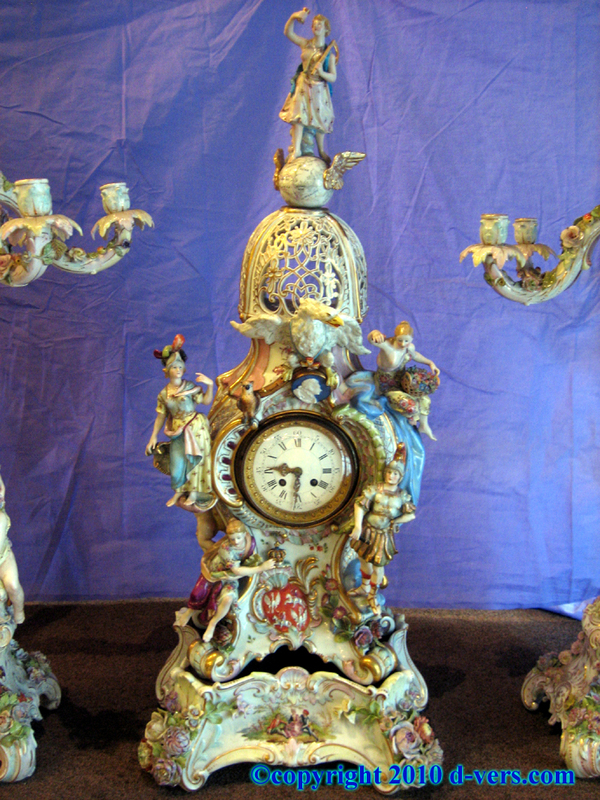 Large two hand face in upper central area, flanked by soldiers, cherubim, and figures. 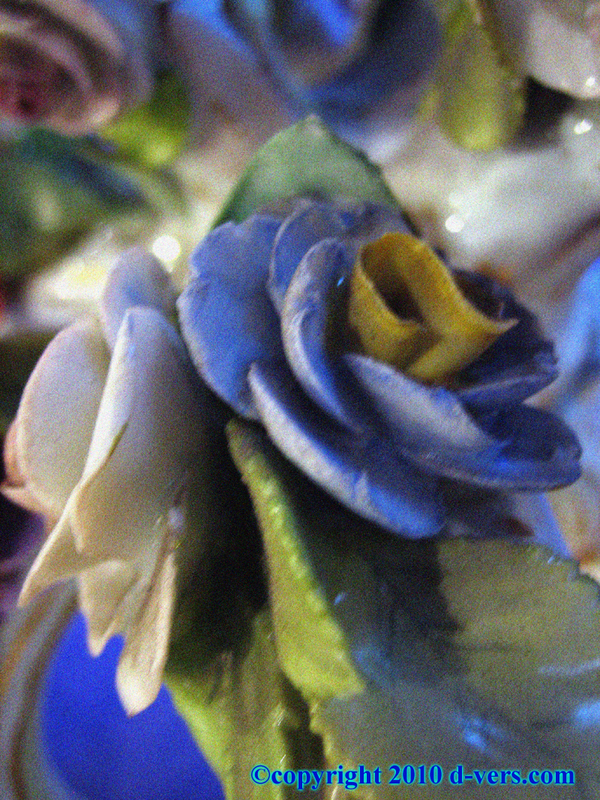 Above the face a blue medallion with a male face in profile, edged in gold. 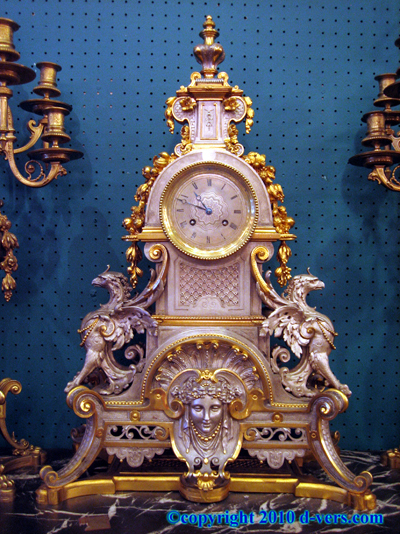 The body of the clock with two portions, an upside down bell shape set into a trapezoidal shaped base, atop which sits the upside down bell shaped lattice piece. 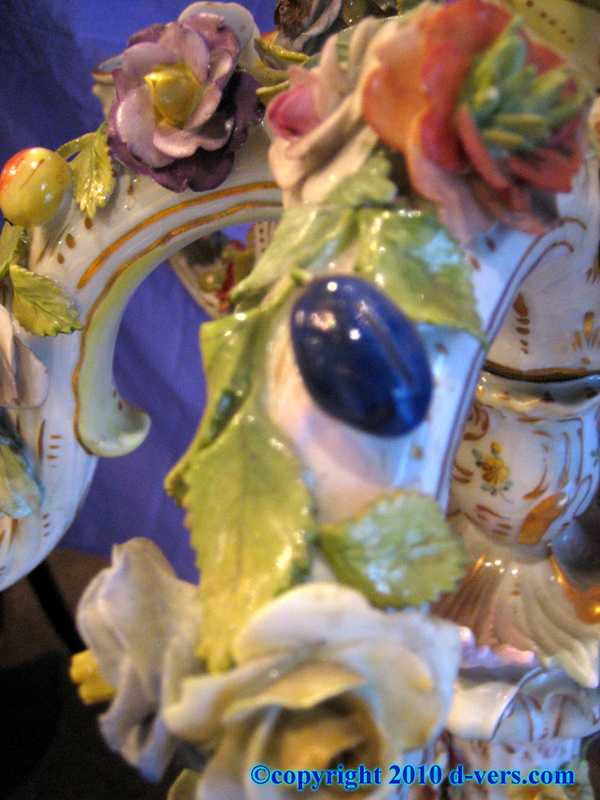 Beneath the face between the figures is a red somewhat heart shaped decoration with horses and wings in white in relief. 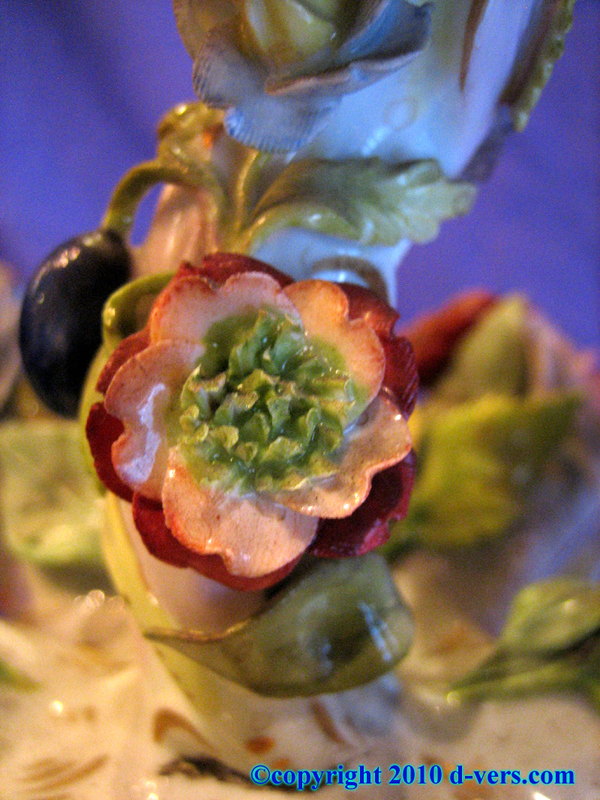 Surrounding the face are vines and floral designs, continuing to the bottom. 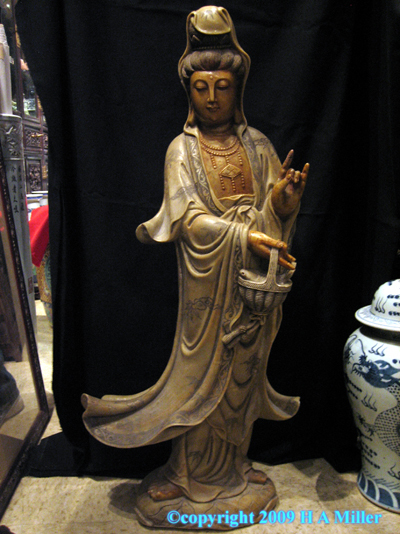 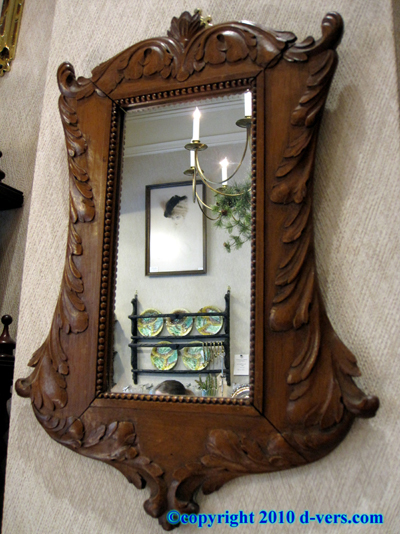 Above the face and medallion, a carved white eage with fierce expression stands. 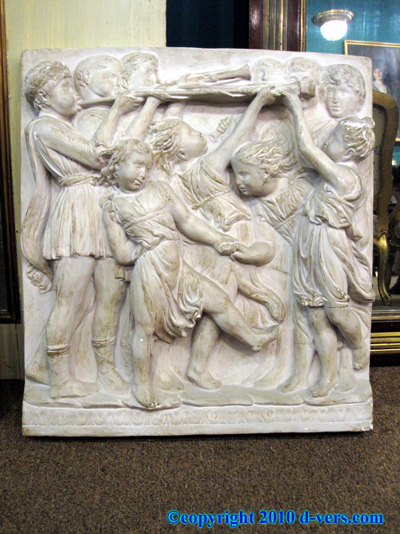 At the center of the base is a small pastoral scene in relief. 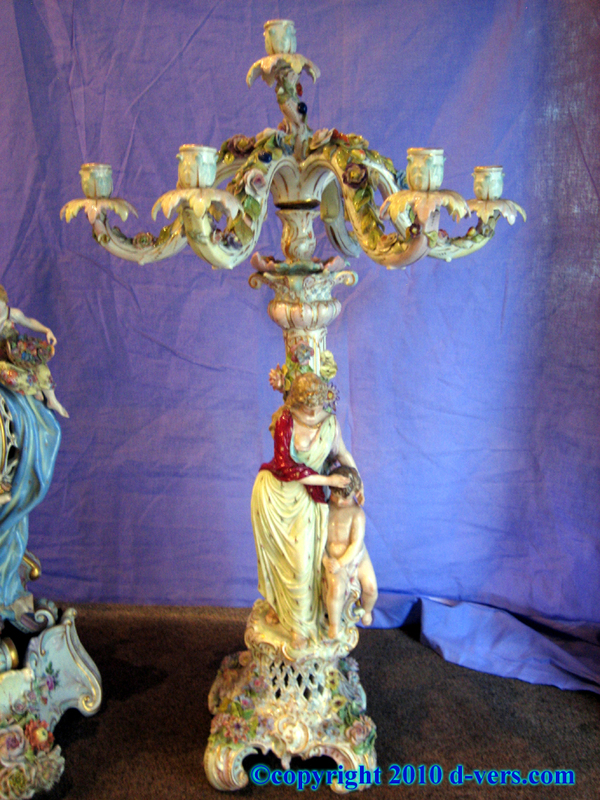 Each candelabrun features a pair of figures, one female, the other cherubim. 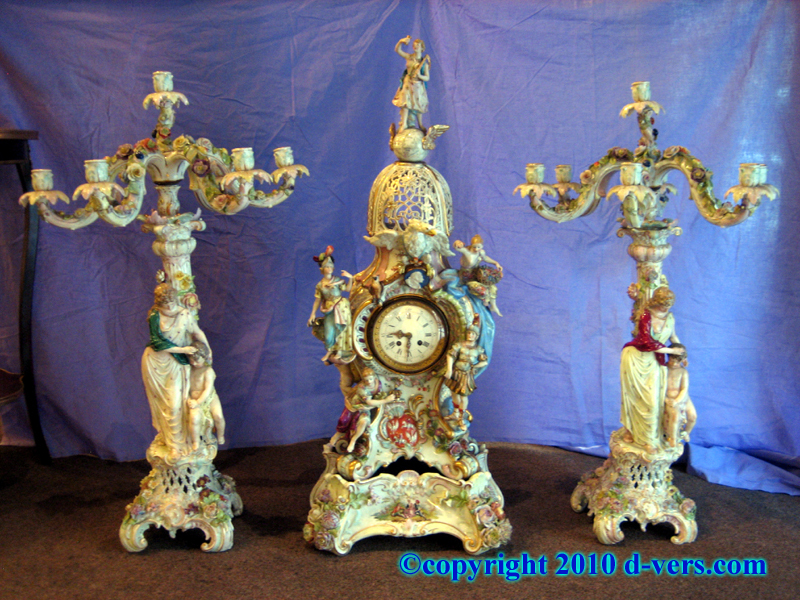 The female on each candelabrum is holding her arms about the cherubim. 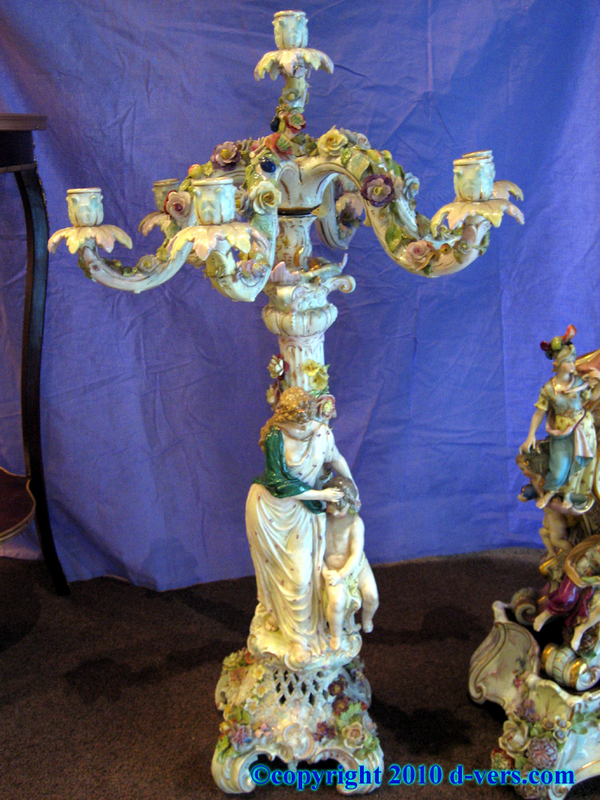 A column stands behind the figures on each candelabrum, each resting on a lattice base with floral designs surrounding the bottom. 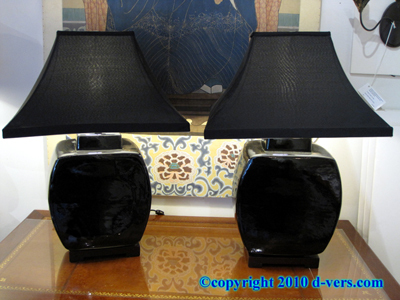 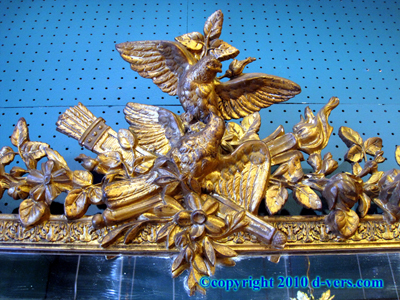 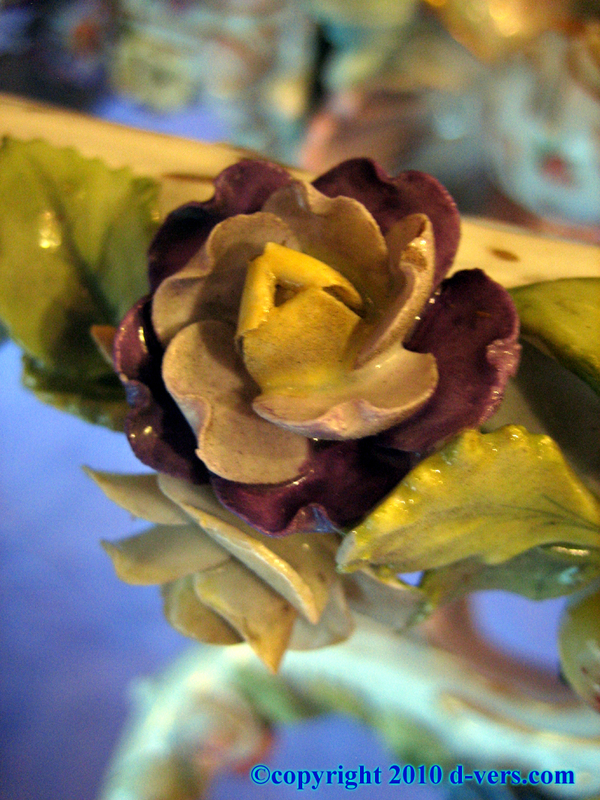 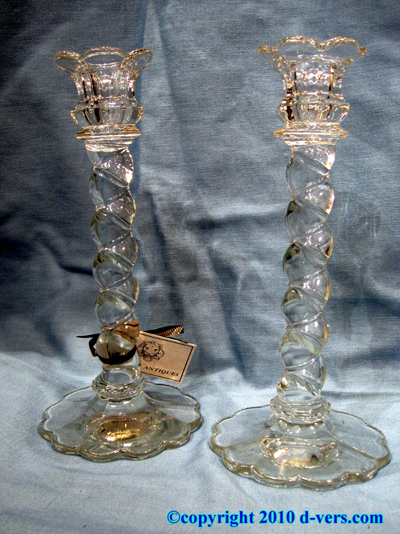 The candle holders above, also with floral designs. 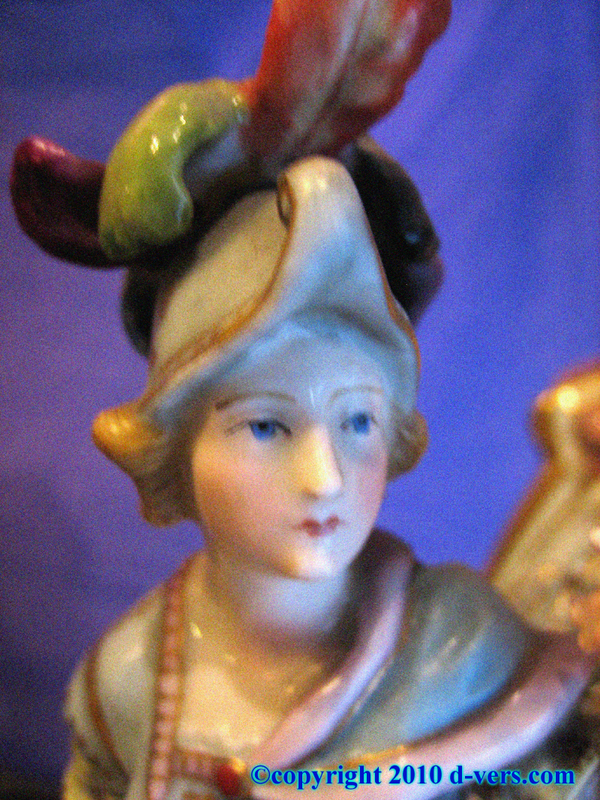 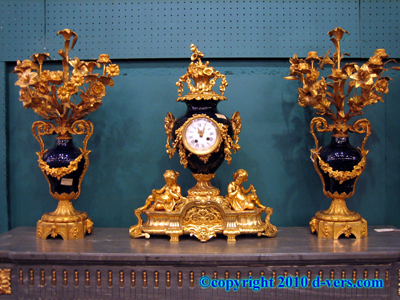 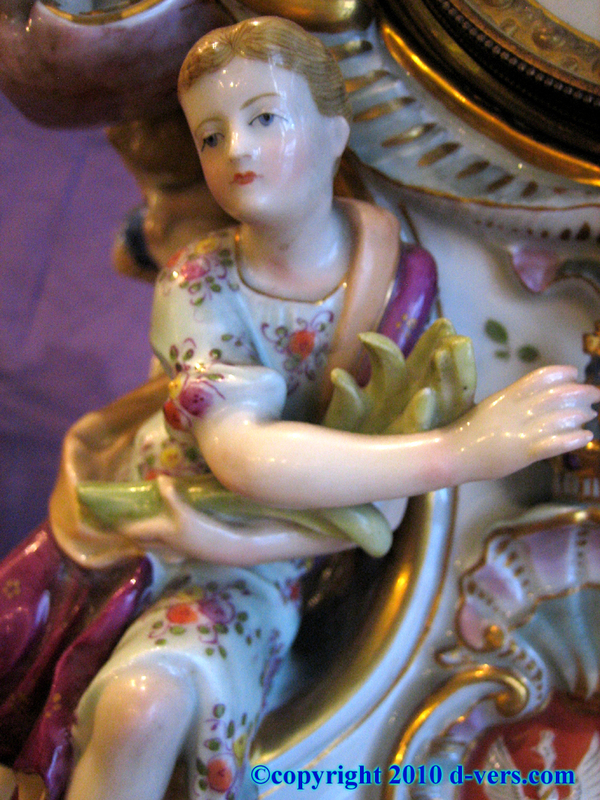 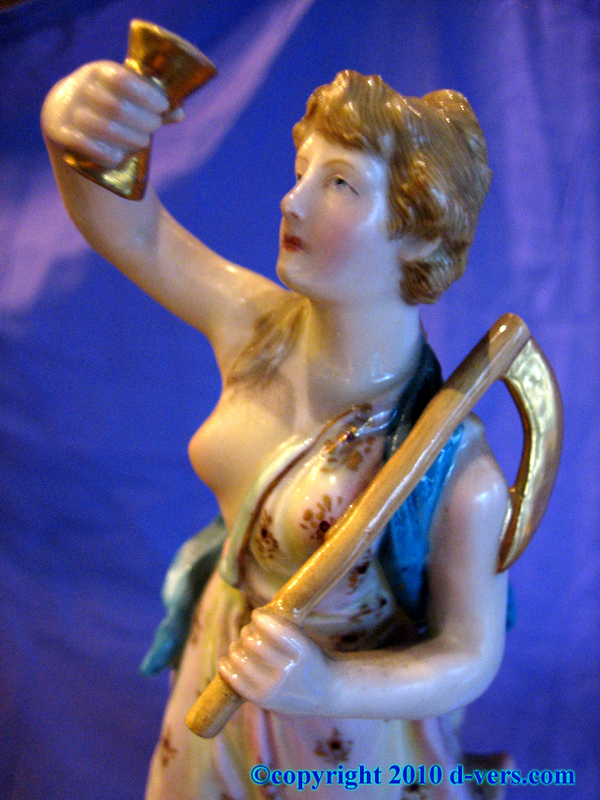 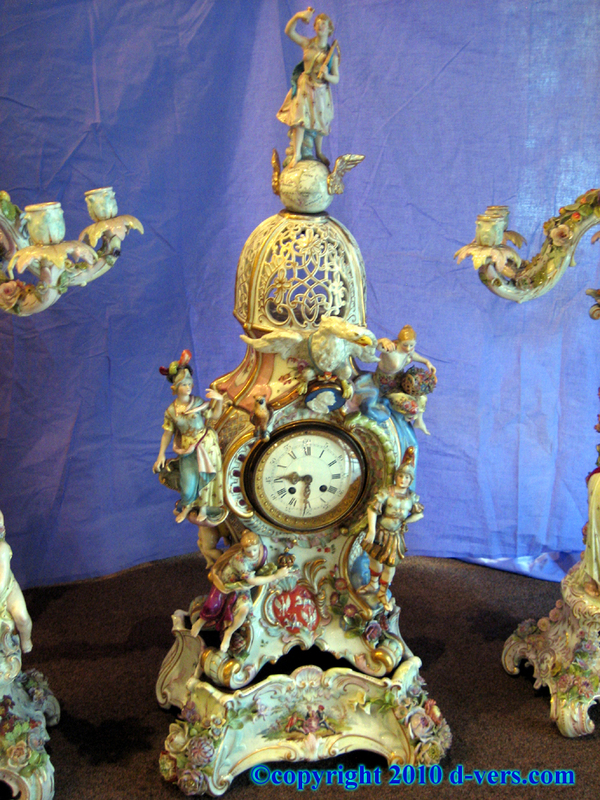 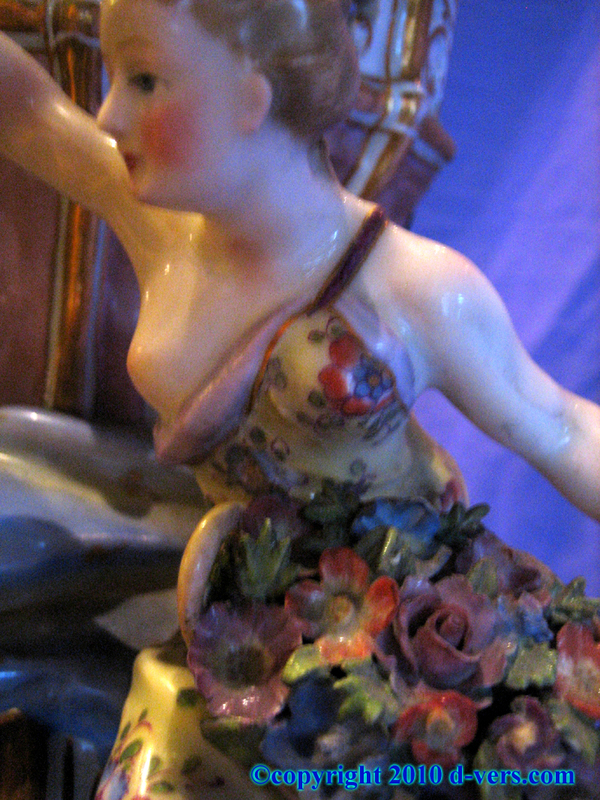 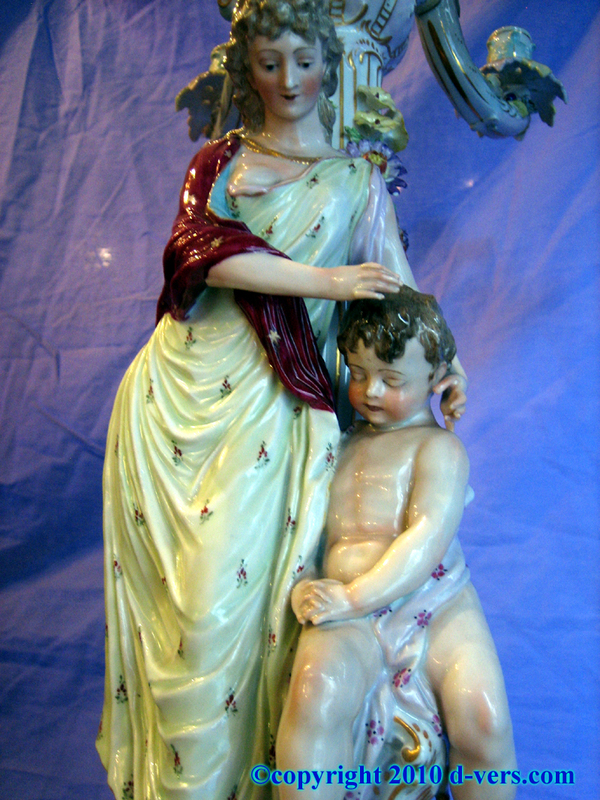 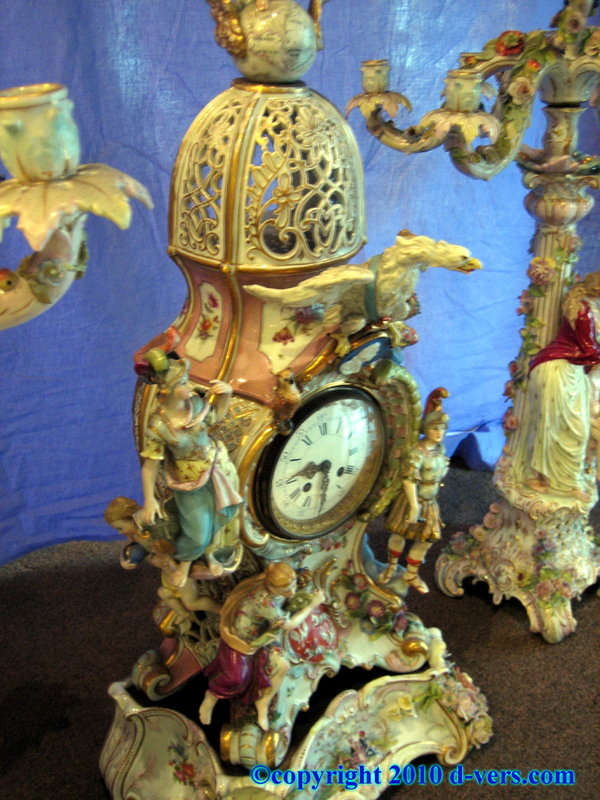 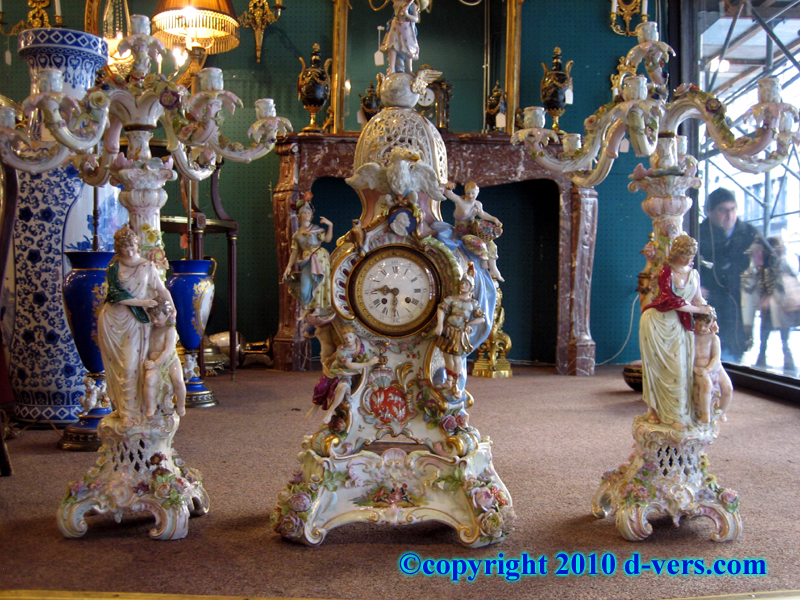 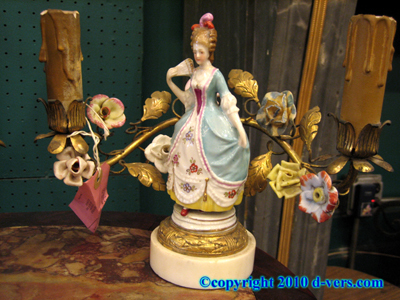 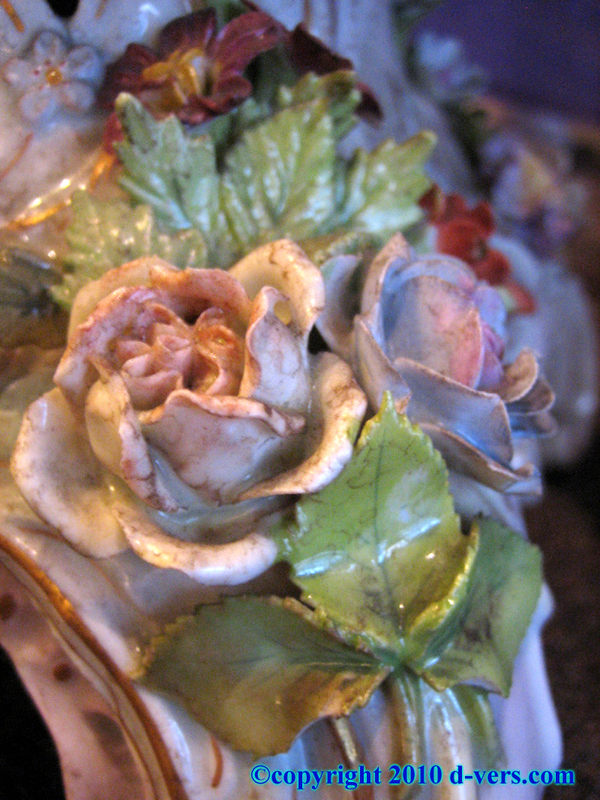 Meissen porcelain clock and candelabra are in excellent condition. 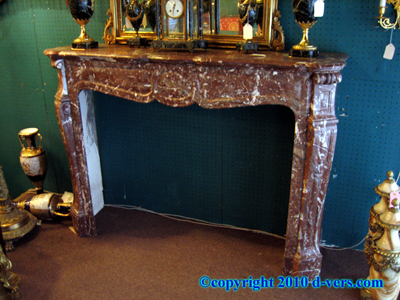 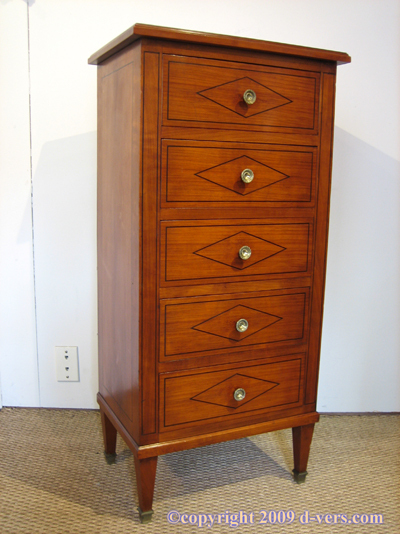 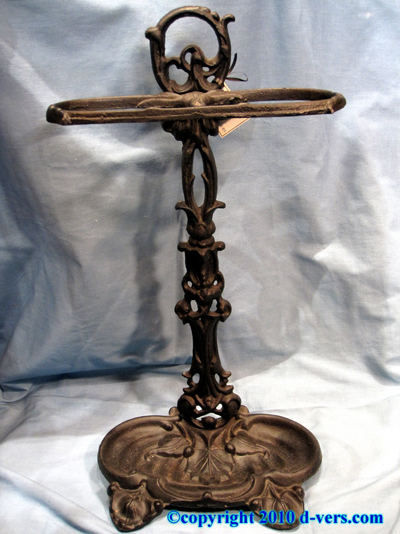 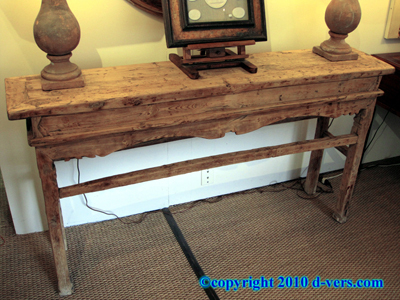 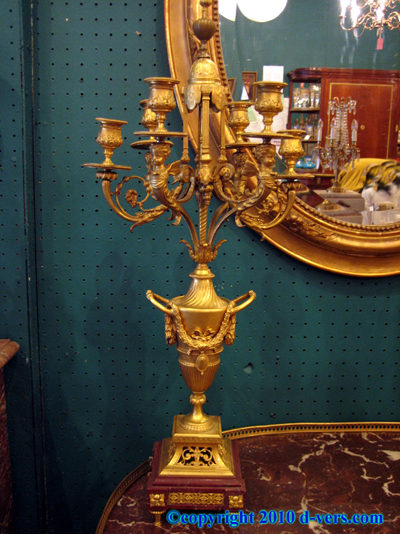 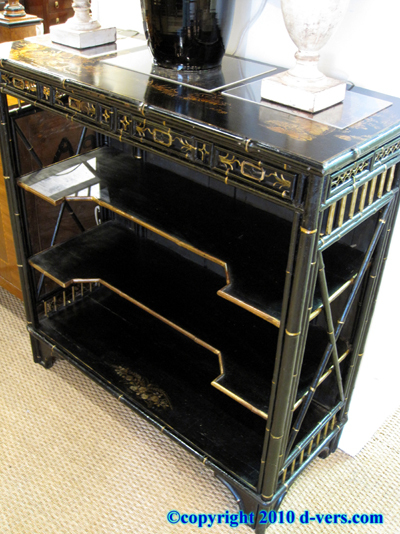 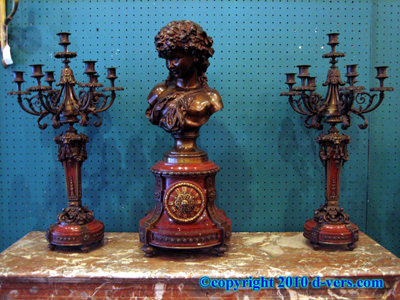 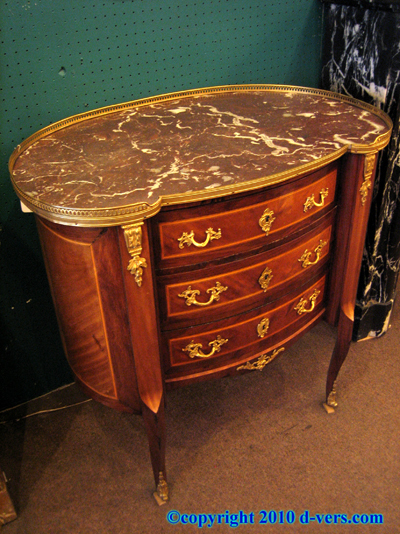 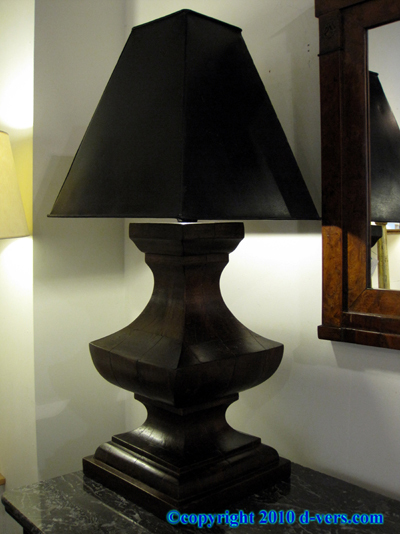 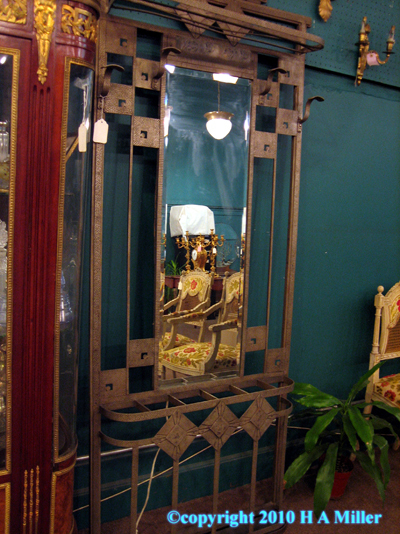 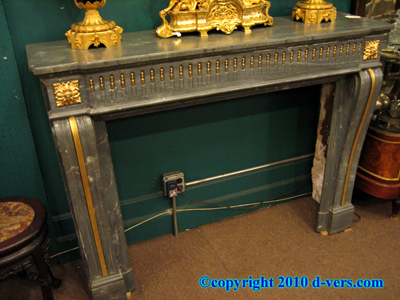 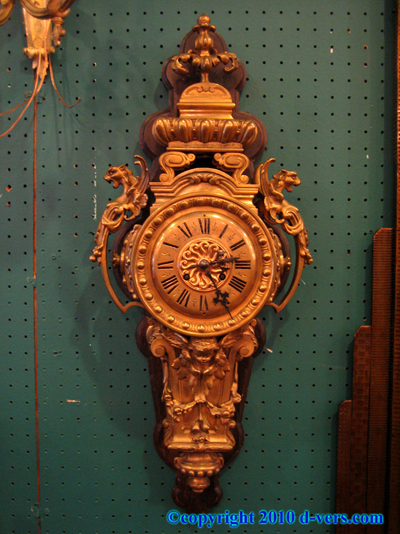 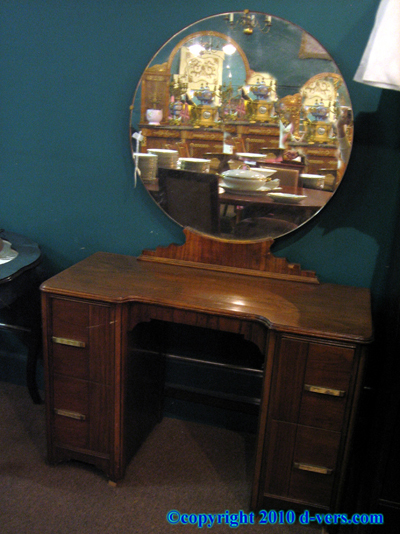 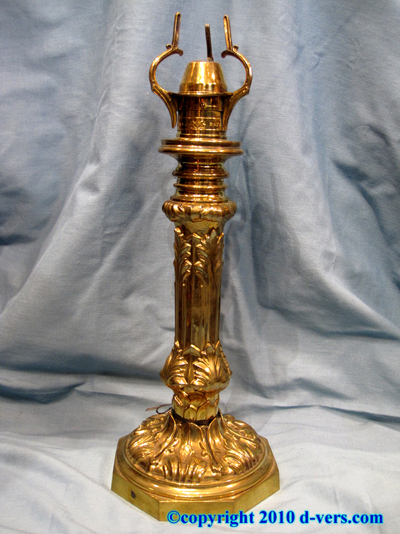 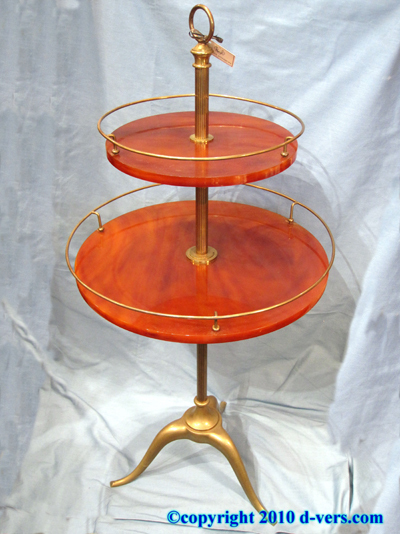 Measurements: Clock: 35" high, 16" wide, 10" deep; Candelabra: 29 1/2" high, 8" wide at the base, arms measure 19". 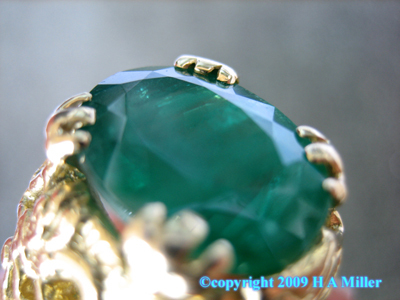 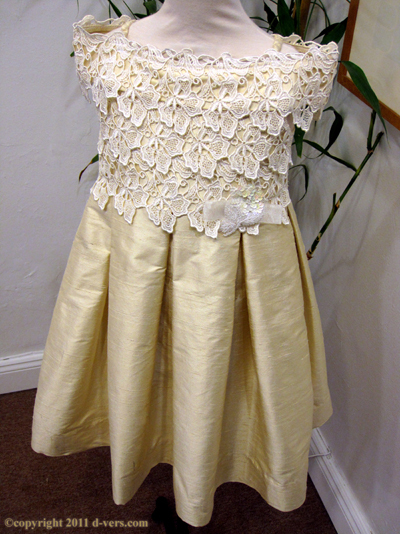 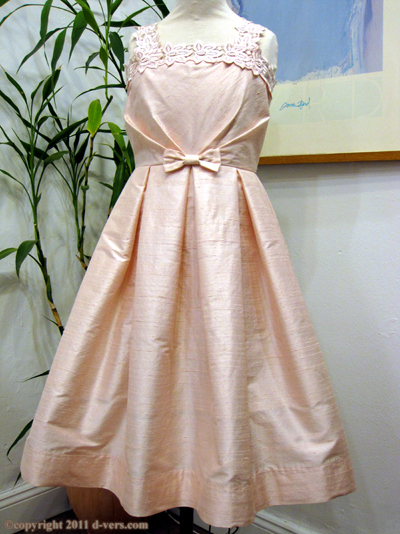 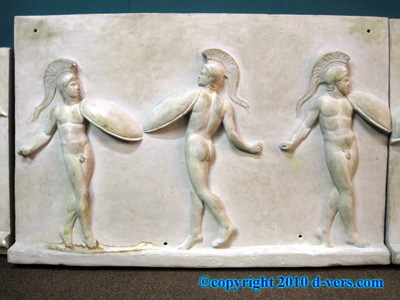 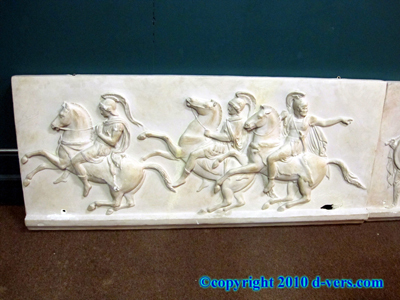 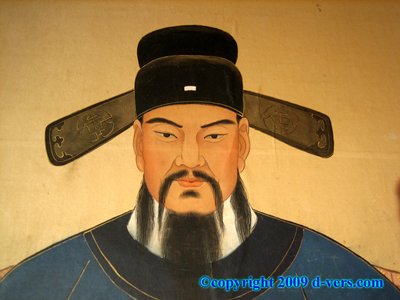 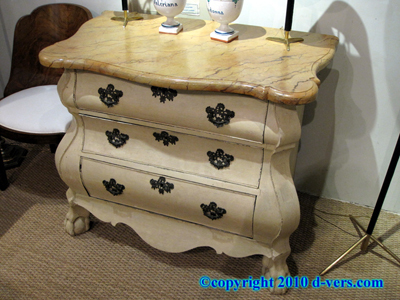 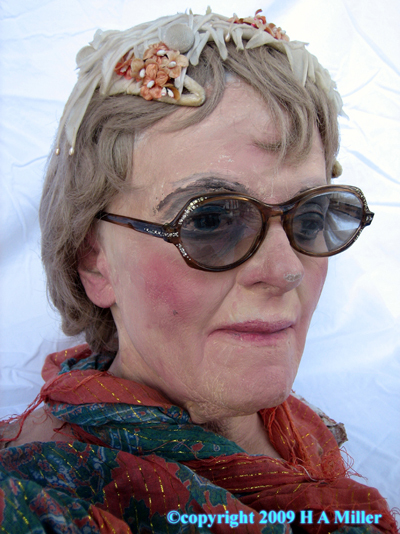 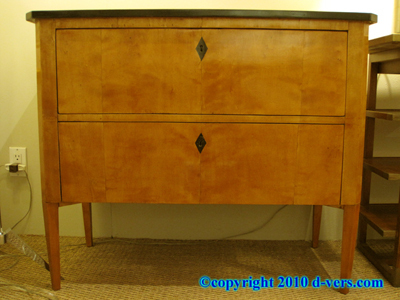 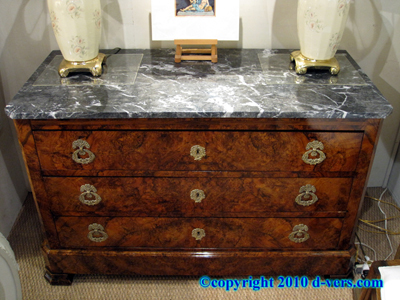 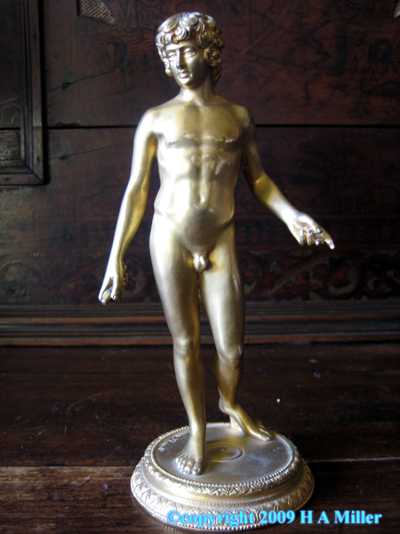 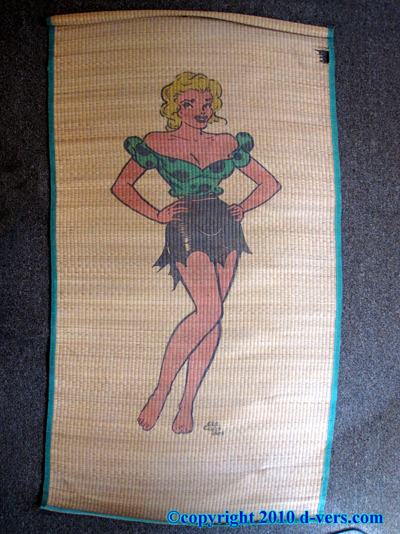 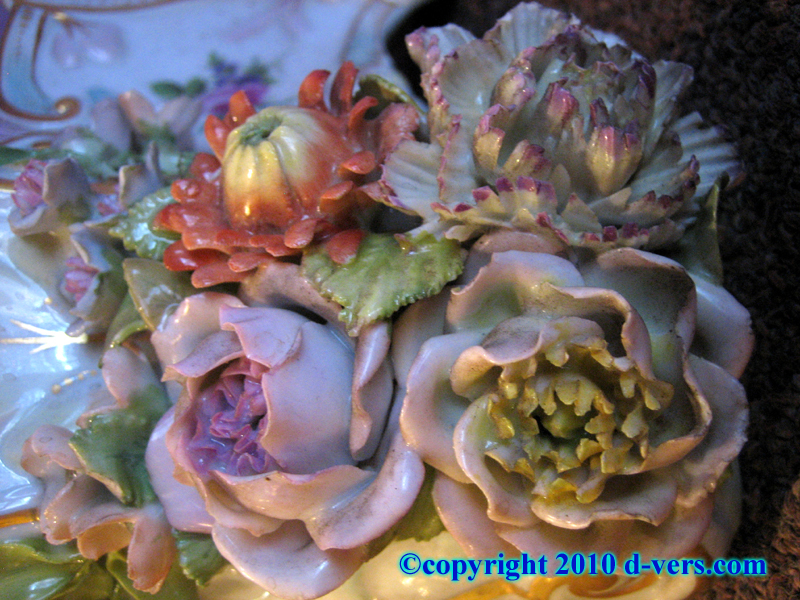 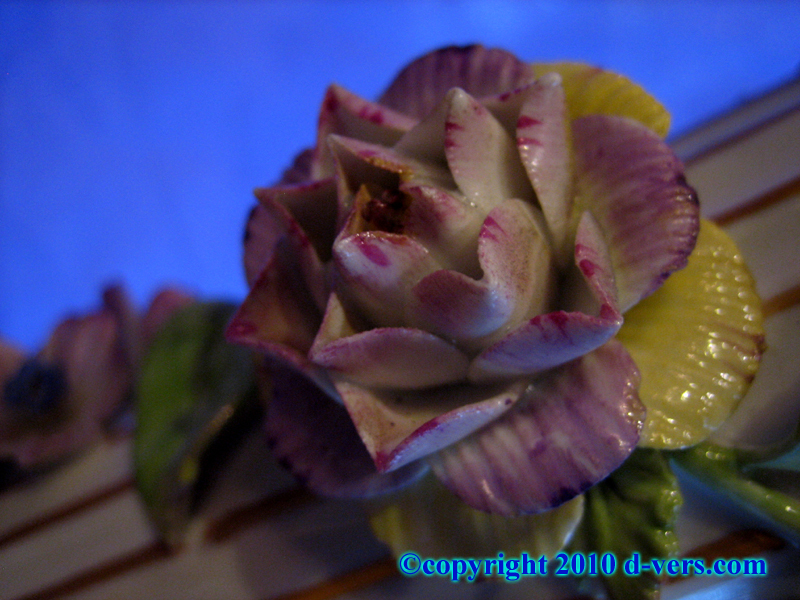 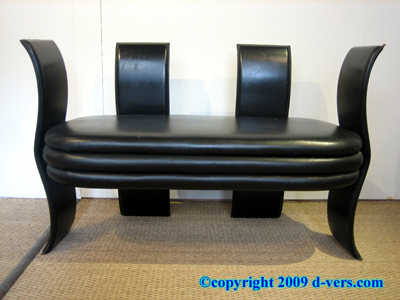 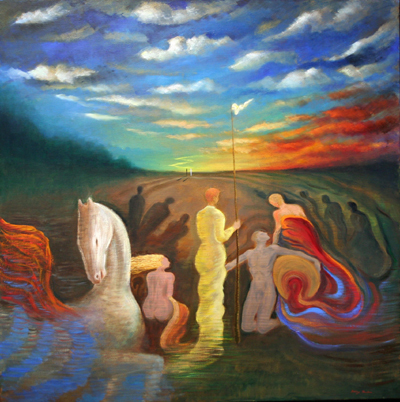 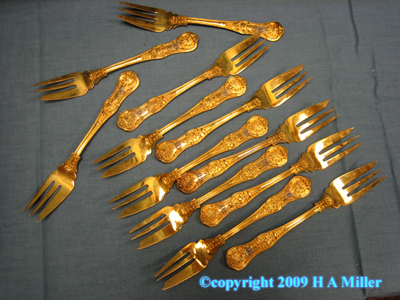 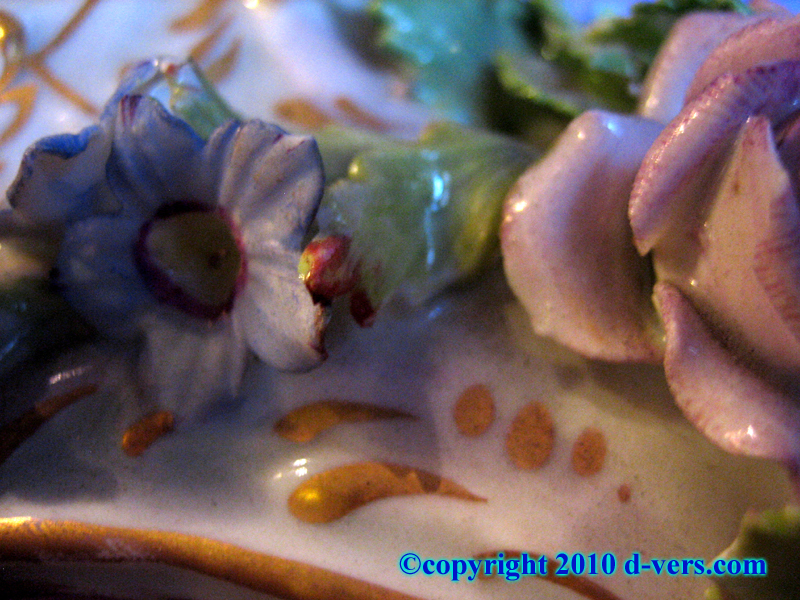 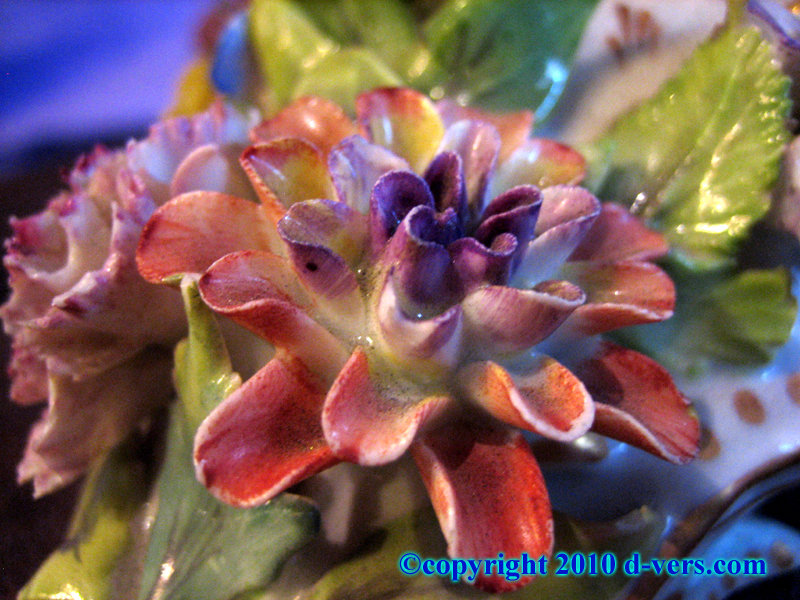 This piece was added to D-Vers.Com Online Gallery on Thursday 22 July, 2010.